Indiana prosecutors have charged two Indianapolis women with insurance fraud arising out of the Indiana State Fair stage collapse in the Summer of 2011. Authorities report that Stephanie Murry and Sandra Hurn have been charged attempted theft, forgery and perjury. Allegedly, each woman each submitted claims totaling $22,500 to a private relief fund and the State’s tort claim fund. Authorities also claim that both women submitted falsified hospital records describing injuries they alleged to have suffered at the Aug. 13th concert. The collapse killed seven people. According to prosecutors, neither woman actually attended the concert. Claim adjusters know all too well that calamities can bring out the best in people and the worst in people. Put attempted insurance fraud in the latter category. Learning of this sad vignette reminded me of a story I heard about the Philadelphia area transit system, SEPTA. One claim manager told me that, when a SEPTA bus had an accident, one of the first priorities was to cordon off the surrounding streets near the collision. This puzzled me – why was there such an edict? “Simple,” he replied, “it was to prevent other people from running and jumping onto the bus after the collision, hoping to collect money from the claim.” Before this protocol, imagine the puzzled SEPTA adjuster wondering how one bus could possibly hold the 227 passengers claiming injury from a low-speed impact! Years ago, Aerosmith had a hit song, “Jaded.” Claim professionals can become similarly jaded when they read of such opportunism. It is easy to become jaded and callused when reading about the calamity du jour. In one tongue-in-cheek list titled, “Top Ten Signs that You May be a Claims Adjuster,” one sign was, “You read about a catastrophe in the morning paper and exclaim, `Boy, I wonder how many claims will come out of THAT?’” Sorry, but that reaction can become an occupational hazard. 1. Weave fraud-fighting into your claim-handling culture. Do you have an SIU unit? Is there an adjuster evaluation yardstick tied to fraud fighting and awareness. Remember the management maxim, “That which gets measured gets done.” When it comes to fraud fighting and awareness, are you measuring it? Do you tie it to adjuster performance reviews as one piece of the puzzle? 2. Be alert to “red flags,” but don’t assume that they all signal insurance fraud. Vigilance does not mean assuming that every question mark implies a fraud. Just because someone has had a prior claim (or two) doesn’t necessarily signal a professional claimant. Just because an accident was unwitnessed doesn’t necessarily mean it was staged. Fraud awareness must be tempered with good sense. Hyper-vigilance can lead to over-reaction which can lead to lost customers and bad faith lawsuits. 3. Train and train again. How often do you offer training in fraud-fighting? Sporadically? Regularly? Training can take many forms: in-house case studies. Inviting in guest speakers. Lunch and learn sessions. On-line modules. Circulating articles. Putting it on the agenda of claim staff meetings. It is not a “one and done” activity where you cross it off a checklist and assume that adjusters are now “inoculated” against insurance fraud encroachments. 4. Monitor – and limit – caseloads. 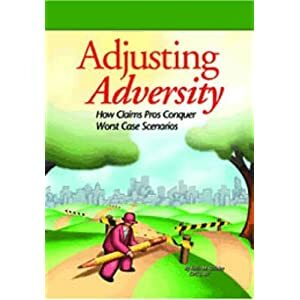 When adjusters are overwhelmed with volume, there is a powerful temptation to cut corners. Adjusters are so busy putting out (figurative) caseload fires, they may not have the time, inclination or bandwidth to investigate questionable (literal) fires. They may pay claims and ignore fraud-fighting investigative avenues simply as a coping mechanism, the path of least resistance as they struggle to stay atop a 200+ file caseload. Adjusters with manageable caseloads are more likely to apply a learned “smell test” and follow up when something about a claim just doesn’t seem right. Special event calamities can spawn not only tragedy and legit claims, but also fraud. Commit your claim operation to detecting and fighting fraud. Make this an ongoing commitment, not a one-off “special event”! In what other ways can claim operations show an ongoing commitment to fighting insurance fraud?